On a visit to California in 2012, Luxembourg’s Minister of the Economy, Étienne Schneider, met Dr Simon Worden, then Director of NASA’s Ames Research Center. They spoke about space resources and space mining. Originally sceptical, Minister Schneider realised the opportunity in space resources and the surrounding business. In March 2015, Minister Schneider then organised a conference in Luxembourg, which was a success, and convinced him to develop space business in Luxembourg. The government since developed the SpaceResources.lu initiative. Mining resources and space travel are not Luxembourg’s first involvement in space. In 1985, a public-private partnership effort launched Société Européenne des Satellites, today known as global satellite operator SES. 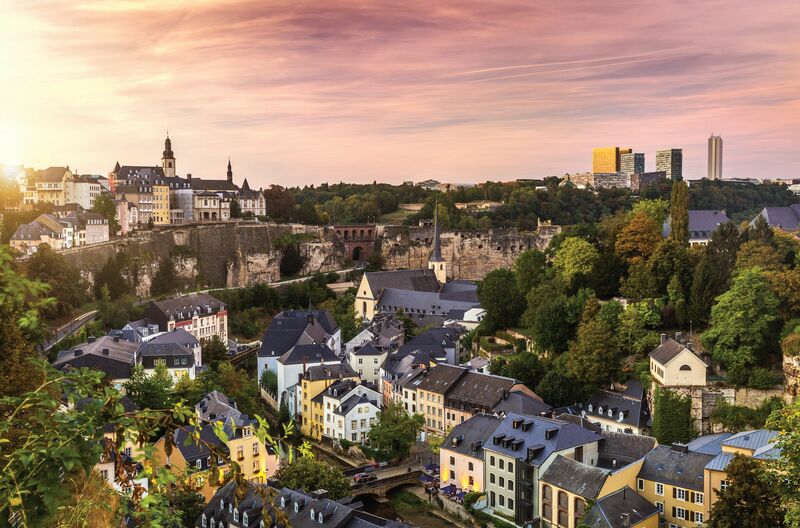 Luxembourg’s proactive approach has made it home to an increasing number of companies developing products and systems in the space and ground segments, and delivering services and downstream applications. 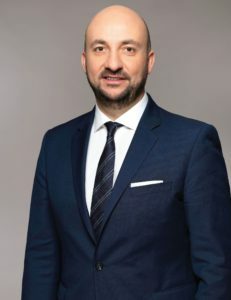 Among them are recently established startups from the space mining industry that have set up European operations in Luxembourg with the support of the government. What is behind the Space Resources.lu initiative? Of course, the long-term view of this initiative, as with any economic development, is to earn money and ensure that our economy will be successful in the future. We are all aware of the eventual scarcity of certain resources on Earth. The SpaceResources.lu initiative provides the legal, regulatory, and business environment that will allow private investors and companies to explore and utilise the resources in space. At the same time, Luxembourg was looking for ways to diversify its economy and explore new sectoral avenues. So space resources is a good fit for Luxembourg, a country that has had to reinvent itself over and over again for most of its existence. For example, when the steel industry collapsed in the 1970s, that was when you first saw the real rise of the finance industry here. We had to invent something new. At that time, we only had a small number of banks, and few people believed that we would become a financial centre. Then in 1990, we started to really succeed in the fund industry, and look where we are now. Luxembourg is the second largest investment fund center in the world after the US and the premier private banking center in the Eurozone. It was the same when we launched our SES initiative. Can you give us some background? In 1985, a public-private partnership effort launched the Société Européenne des Satellites, today known as global satellite operator SES. SES operates a network of satellites that delivers TV and radio, internet connections, data, and voice to homes and workplaces around the world. I was recently reading the discussions from the 1980s when we first launched that initiative. At that time, we had to go to parliament in order to give a guarantee because no insurance company would underwrite this strategy, meaning that the government had to do it to the tune of 5% of their total budget. Now that was a huge risk. The plan was for SES to launch the Astra satellite network. At that time people were asking, “Why do we need satellite TV? We have TV. We have our antennas on the roof.” Some people even said that the plan was dangerous, because the satellites would fall down from space, damaging Earth and putting people at risk. The government launched it with enormous success. Today SES is the biggest satellite operator in the world. Space business now accounts for 1.8% of our GDP. This is the biggest percentage of space business to GDP for any country in the EU. Perhaps it sounds like nothing, but actually this is huge. That is EUR €1bn every year. What is the ultimate goal for Luxembourg? The long-term goal, of course, is to earn money, to assure that people will have good jobs, and to develop research activity. I want Luxembourg to become a hub for space-related research and business. This is why we call it space ‘resources’, because it encapsulates everything that you can do with space. What can Luxembourg offer that another country cannot? The commitment of the government. I think that is the most important thing. When I am speaking with various players, entrepreneurs, engineers, etc. ; sometimes it is not instantly obvious that they have such a thrilling idea. But what they need is someone who listens and believes in them and in their initiatives; and that is exactly what they get in Luxembourg, someone who listens and offers a clear commitment. That is why so many companies are looking at us, and not just from the US but from many other countries as well. When I compare the SPACE (Spurring Private Aerospace Competitiveness and Entrepreneurship) Act of 2015 to our Space Resources Law of July 2017, which was voted in this summer, there is one huge difference. In the US, in order to be covered by the SPACE Act, the capital of your company has to be more than 50% American money. Many space-related startups are working with USD $10m, $15m, $50m, and it is relatively easy for them to find this money. But once they launch their first initiatives on the market they will need huge amounts of money, and if they don’t find American money, they might not be able to continue. We don’t impose this kind of limitation for companies who want their headquarters in Europe. The other advantage is that, being in Europe, they can work for and/or with the European Space Agency (ESA). They are not limited to NASA. What makes us really interesting is our LuxIMPULSE programme, which can provide funding to help companies bring innovative ideas to market. Every Euro we spend on ESA has to be reinvested into Luxembourg projects. Our problem is that we often do not have enough projects to put the money back, so there is relatively easy access to this funding. What other advantages can Luxembourg offer? Of course, there is the legal framework and the fact that the government invests directly in companies. For this investment, we decide by two criteria. First is the idea in itself. Do we think that this is an idea that can really fly? Secondly, who are the other shareholders? Is it of interest for us to be at the same table with them? This is exactly what we did with Planetary Resources, an asteroid mining company. This direct investment is good for us and good for the companies. When companies are looking for new money, they can say that the Luxembourg government is a shareholder. That gives them credibility. Then, of course, there is our research budget, because we are in the Horizon 2020 programme from the European Commission. We committed ourselves to spending 2.3-2.6% of our GDP on R&D, so we need to increase that spending. Can you tell us more about the national space agency project? This is another advantage. Maybe our most important idea is to launch a space agency in Luxembourg with a public-private partnership, where the government and private investors alike can take a share. This PPP fund will decide which companies we will invest in and which we will not. We are in early discussions with the investment fund industry, and there is already a great deal of interest. This will be a unique space agency in that it will not focus on space exploration, but on space business; and when you focus on business, investors are interested.